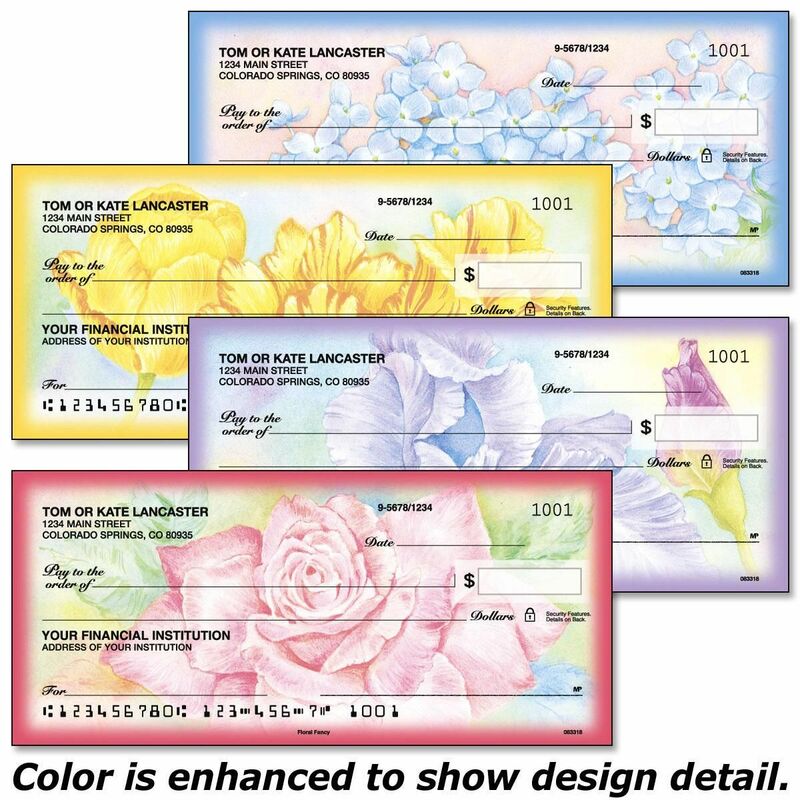 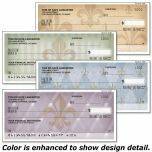 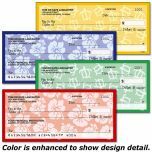 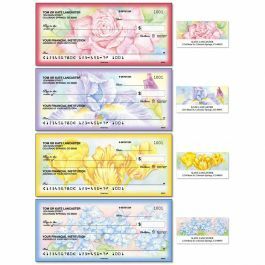 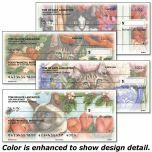 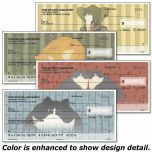 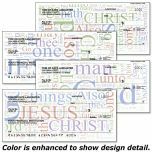 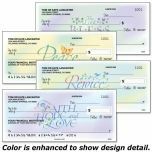 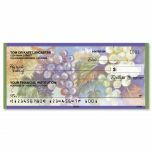 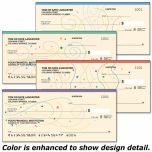 Romantic florals are the background to this full-color personal check assortment, featuring 4 pastel designs. 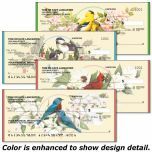 How does your desktop garden bloom? 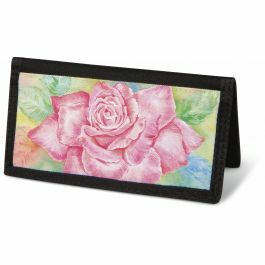 With beautiful blossoms in soft pastel hues! 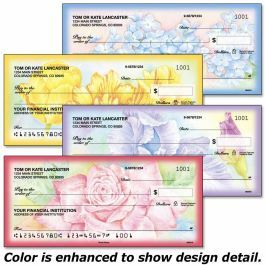 Enjoy this beautiful floral checkbook cover with every check that you write. 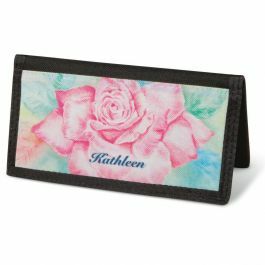 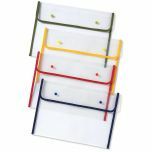 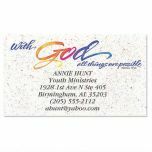 The polyester canvas 3-1/2"x6" cover has slots to hold your credit cards and ID and a plastic flap for duplicate checks.